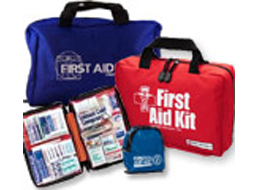 Business First Aid Kits & Consumer First Aid Kits, First Aid Cabinets & Emergency First Aid + Trauma Responder Bags: All First Aid Kits. 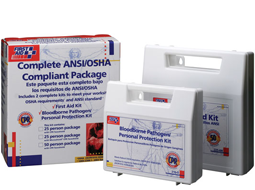 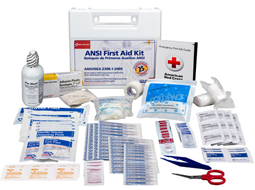 We offer Industrial and ANSI First Aid Kits, OSHA Compliant First Aid Kits, Commercial and Business First Aid Kits, American Red Cross Kits, Car & Auto First Aid Kits, Pet Emergency First Aid Kits, Sports and Outdoor First Aid-available in Soft Pack First Aid Bags and Mini First Aid Packs. 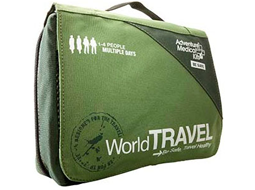 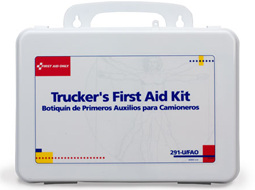 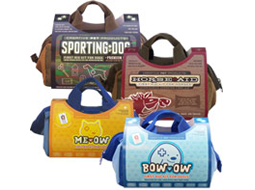 Don't miss our MADE IN USA Urgent First Aid™ Kits and Cabinets which can be imprinted with your logo at no charge, and see our "Special" Kits; Spanish Language Kits & First Aid Kits without Medication. 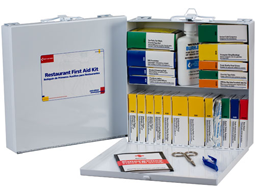 Whatever your First Aid Kit requirements are, we have the perfect match. 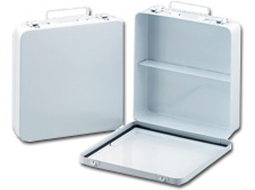 Not sure? 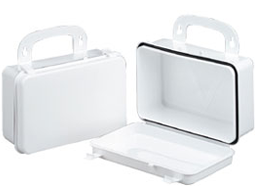 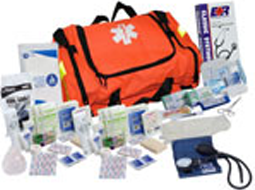 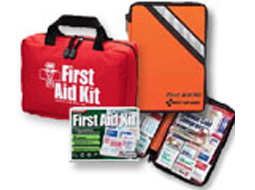 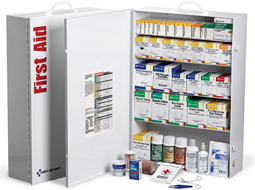 Call us Toll Free to discuss which first aid kit or first aid cabinet is best for you. 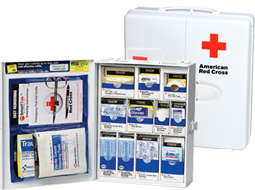 Need a refill? 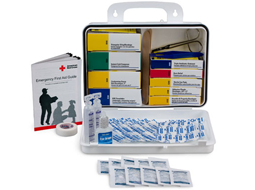 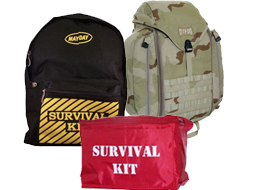 See our first aid kit supplies. 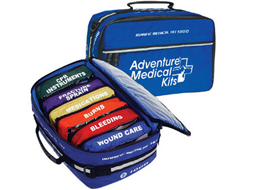 Looking to buy a first aid kit? 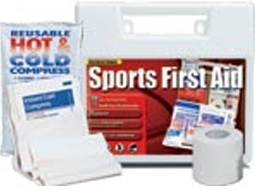 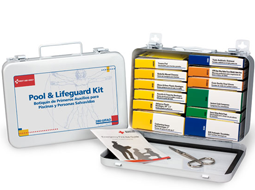 We have what belongs in a first aid kit for your specific needs - for any purpose! 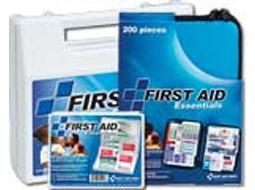 Find the best first aid kits for any requirement including our top 10 first aid kit categories: ANSI first aid Kits, Bulk First Aid Kits, OSHA first aid kits, Restaurant First Aid Kits, Construction First Aid Cabinets, General First Aid Kits, Business First Aid Kits, Industrial First Aid Kits, Commercial First Aid Kits, and Trauma First Responder Kits - If you want the best first aid kit, check out our wide selection. 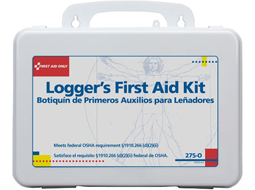 We also offer Empty First Aid Kit Cases, Unitized First Aid Kits, OSHA Compliant Packages, Trucker First Aid Kits, Vehicle First Aid Kit, Landscaper First Aid Kits, Welder First Aid Kits, Swimming pool first aid kit, Lifeguard First Aid Kit, & even Logger's First Aid Kits. 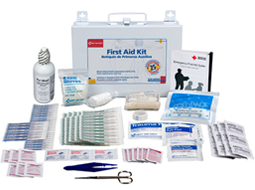 Or for home and General us, try an All Purpose First Aid Kit. 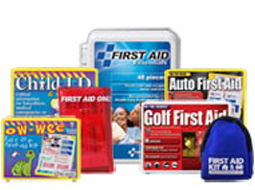 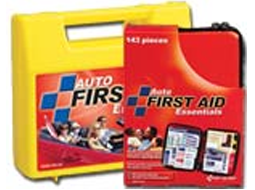 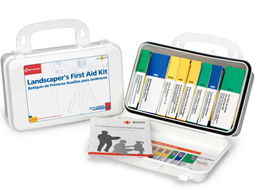 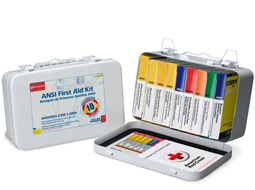 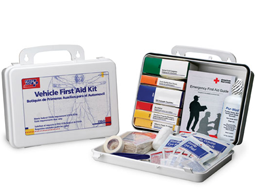 Whether you are looking for a first aid kit for your home, auto, school, or workplace, we have just what you need. 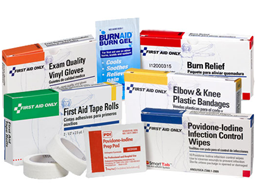 After nearly a quarter century of helping hundreds of thousands of customers with their first aid needs, we know just what to offer... 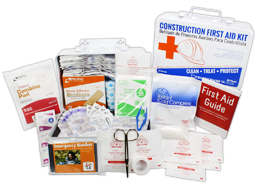 Whether you are looking to comply with regulations, or just want the best emergency kits for your industry, call our First Aid Experts toll free if you would like some guidance - or take a look around... you may also want to read our first aid kit buyers guide for some helpful hints.